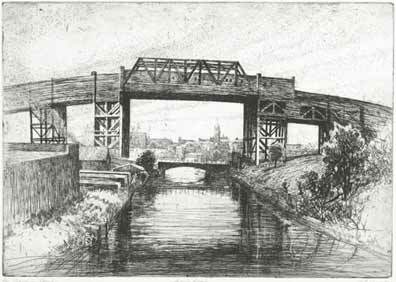 Description: This image of the renewed Gowanus Canal is reminiscent of a Dutch landscape. It seems amazing that it could be a view in Brooklyn. Contemporary realist artist Bill Murphy is known for his graphics of New York City. This etching is from a signed and numbered edition of 50.